STEVENSVILLE, Md. 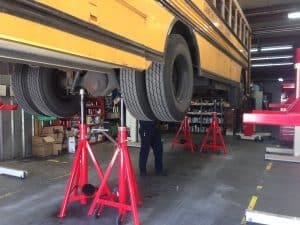 — A recent overview of vehicle maintenance shops across North America conducted by bus lift and truck lift provider Stertil-Koni, has found that fleet facilities—including bus, truck and US military—are increasingly relying on support stands in their daily operations. That boosts safety and extends the capabilities of their existing lifting systems—and all at a minimal capital expenditure. Generally, support stands are used in even-numbered sets of two, four, six, or more, depending on the vehicle’s weight requirements. 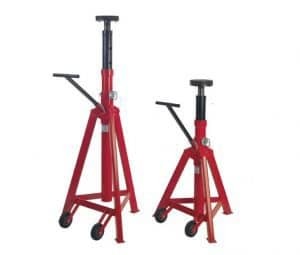 Stertil-Koni support stands are available in capacities from 7 to 18 tons per stand. Support stands have become an indispensable and reliable piece of shop equipment for service and repairs. 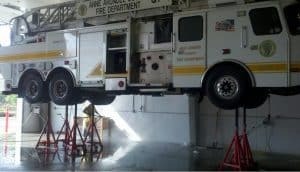 In addition to using support stands with portable lifts, such as Mobile Column Lifts, support stands can also be paired with a range of in-ground piston and scissor-style vehicle lifts. Support stands can be adjusted to the desired height to support the vehicle. Several Stertil-Koni models allow six-inches of fine adjustment via an ACME screw. • Design features that emphasize ergonomics to foster technician safety. • Capacity to independently support heavy loads. • Safety enhancement via added support. • Flexibility to be used in any size workspace or bay and relocatable by a single technician. • Ability to handle a diverse range of vehicles via customized contact heads. When safely in position, stands can also become the sole support and bear the entire weight of the vehicle. 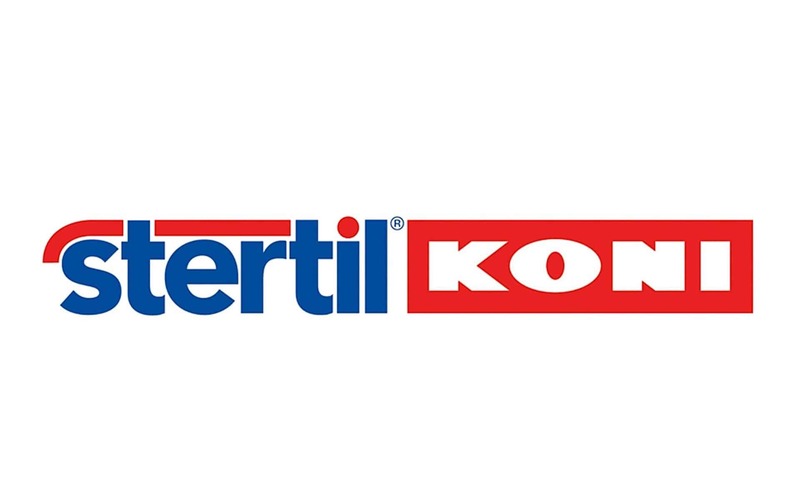 Stertil-Koni is the market leader in heavy duty vehicle lifts, notably bus lifts and truck lifts, and proudly serves municipalities, state agencies, school bus fleets, major corporations, the U.S. military and more. Stertil-Koni’s breadth of products meets all ranges of lifting needs and includes portable lifts such as mobile column lifts, 2-post, 4-post, in-ground piston lifts, platform lifts, and its axle-engaging, in-ground, scissor lift configuration, ECOLIFT. The company’s innovative, in-ground telescopic piston DIAMONDLIFT is now available with an optional Continuous Recess system, which is ideal for low clearance vehicles. Stertil-Koni USA is headquartered in Stevensville, Md., with production facilities in Europe, The Netherlands, and in Streator, Ill.